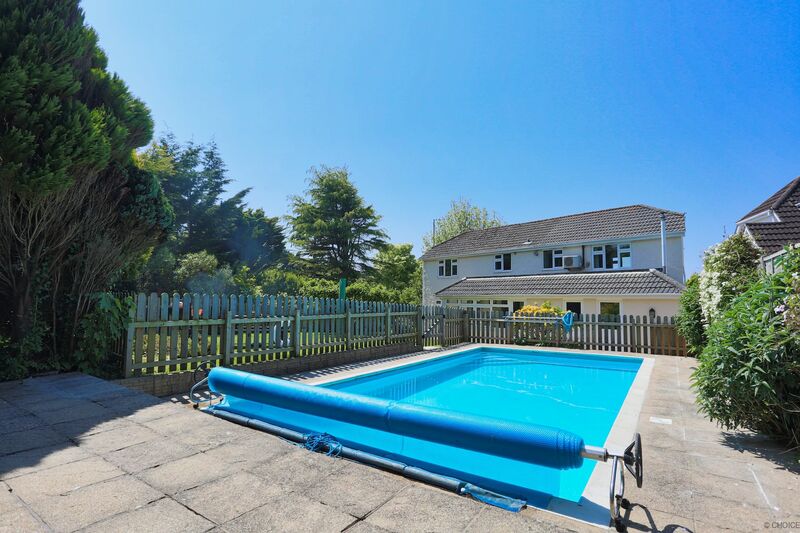 Looking for a beach, swimming pool and hot tub holiday this year? Look no further! 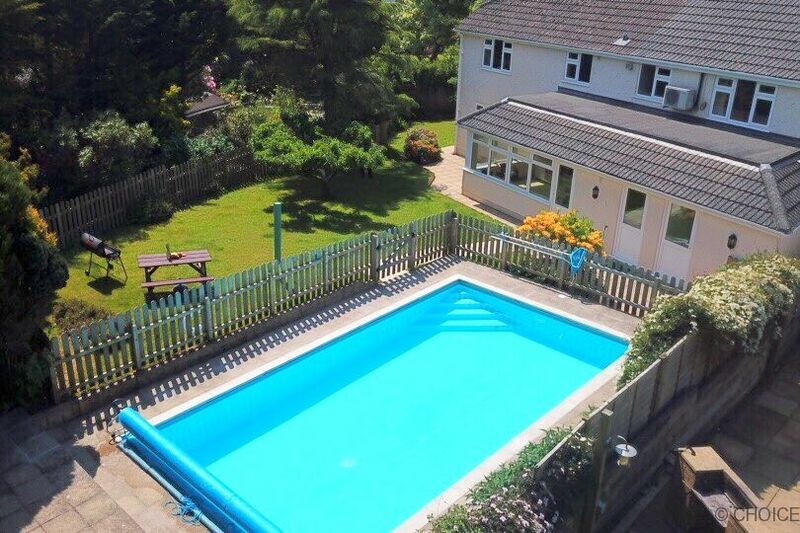 CROYDE RAMBLERS is nestled in Croyde village, with a fenced, private outdoor swimming pool (4ft deep throughout, heating available from May, by request, to end-September - see Add To Basket) and it only takes 15 minutes to walk to the beach! Croyde Bay is one of Devon’s most popular surf spots, and just a few miles down the road are the golden sandy beaches of Putsborough, Saunton and Woolacombe. The bustling village has excellent pubs, restaurants and surf shops. 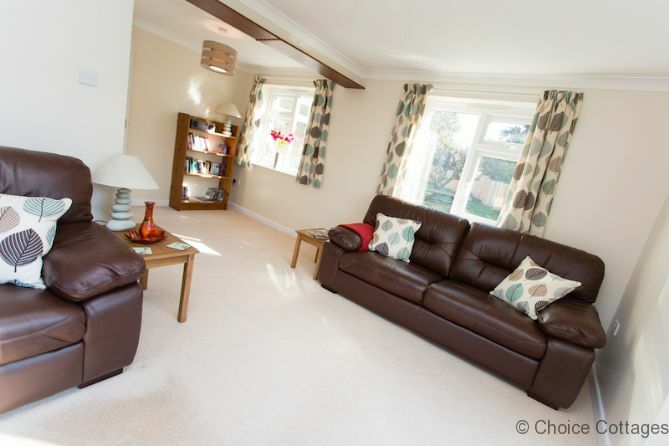 Feel at home immediately in this beautifully presented holiday home. 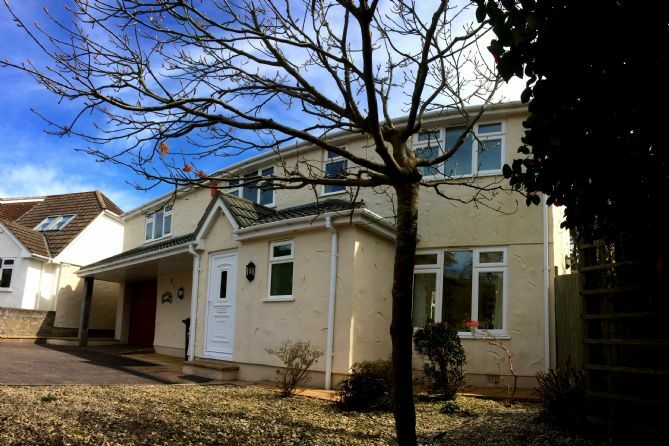 With 4 bedrooms sleeping 8 people, highlights of this lovely home include a private enclosed garden with swimming pool, a superbly equipped kitchen, excellent home entertainment and inclusive WiFi internet access. 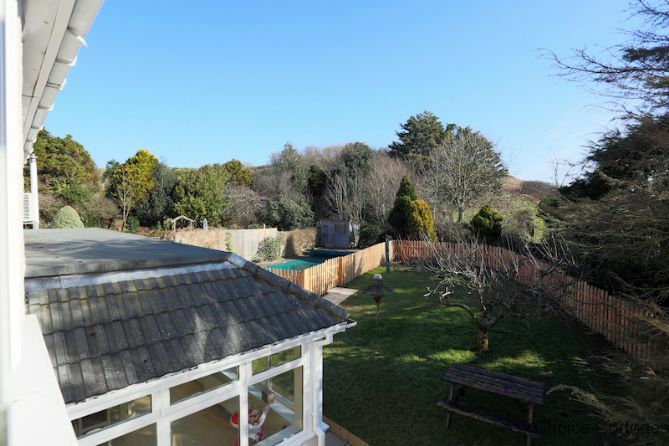 A spacious and comfortable base for your family holiday or weekend getaway in this beautiful part of North Devon. 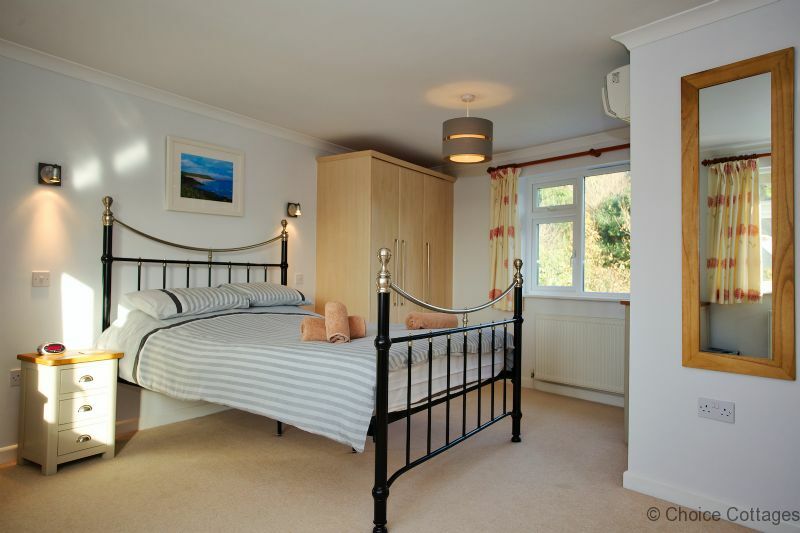 CROYDE RAMBLERS is thoughtfully decorated and furnished throughout. The lounge is calm and grown up, has very comfy seating, a flatscreen TV, Freeview, DVD player incorporated in PlayStation Console, DVD selection, Bluetooth connected HiFi, PlayStation3 console & games, WiFi internet access, as well as books and games and a children’s toy box to keep everyone happy on a rainy day. 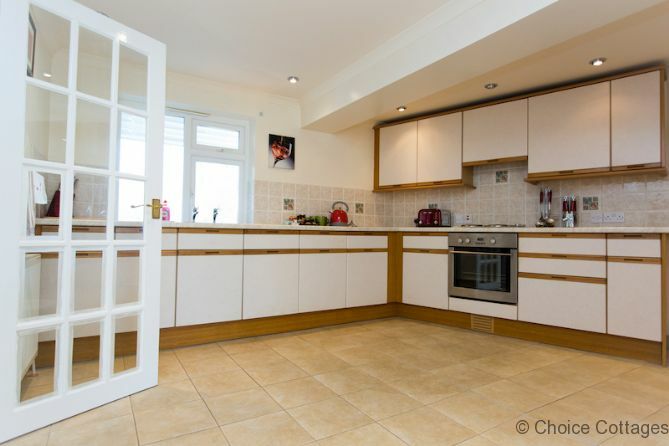 This is a fresh, sunny room with doors leading out to the garden. 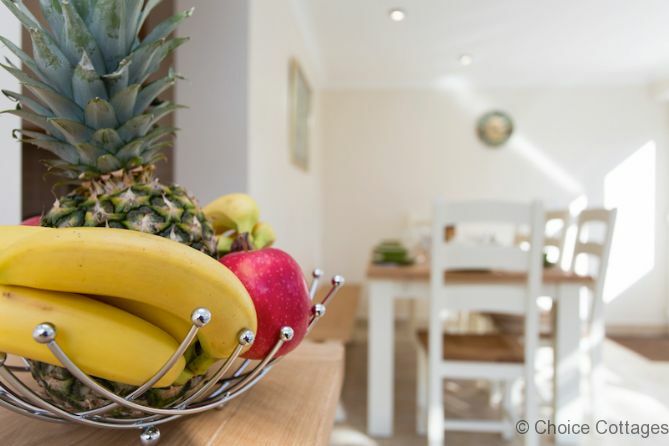 The enormous kitchen contains everything you could need for a stress-free self catering stay. 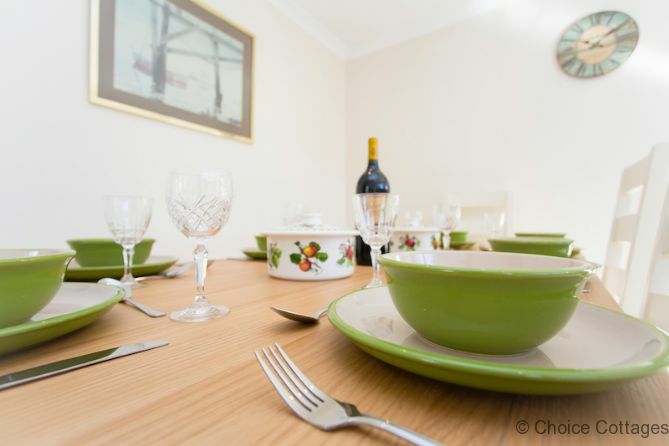 Appliances include an oven, electric hob, fridge/freezer (3-drawer freezer compartment), dishwasher, microwave, toaster, kettle, cafetiere, as well as all the other essential kitchen utensils, pots, pans, cutlery and crockery. Oven gloves and tea towels are provided as well as basic startup pack of washing-up liquid, bin bag and cloth. 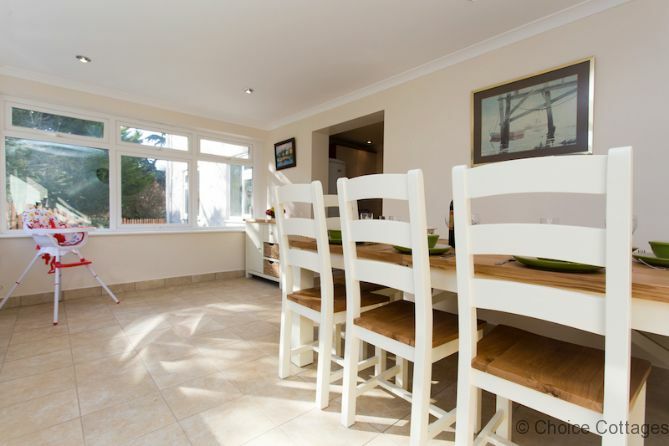 Enjoy a welcoming cup of tea /coffee or glass of wine on arrival with biscuits on arrival. 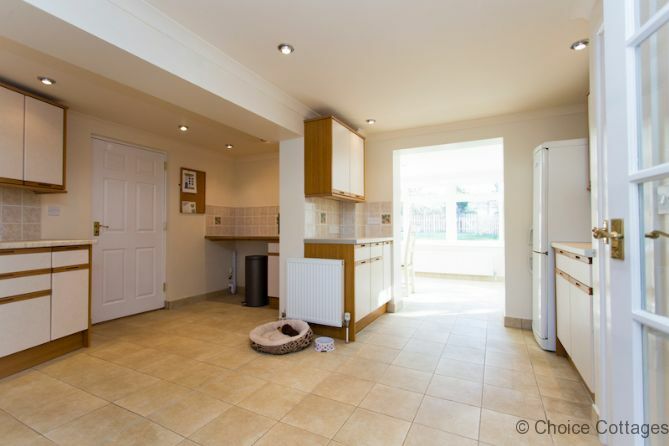 Loads of room for doggy visitors and their possessions without being under your feet. 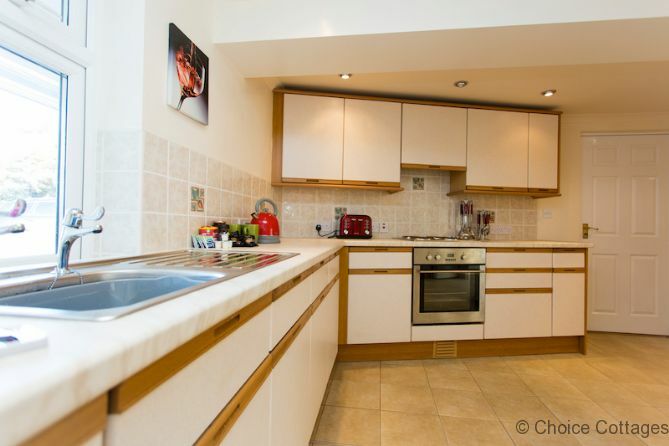 A washing machine and tumble dryer are located in the utility room/garage. 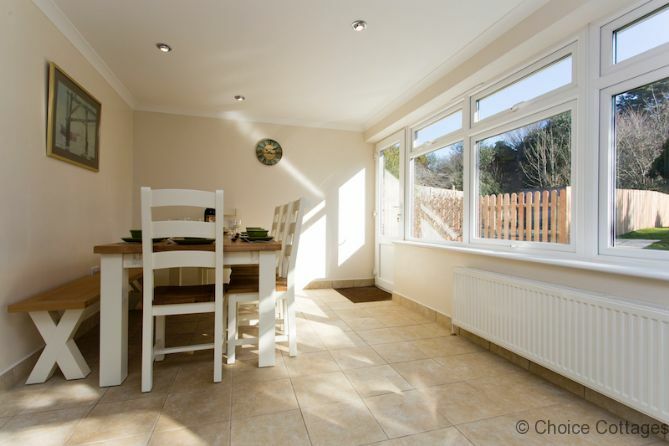 The dining area is in the light filled conservatory leading off the kitchen. 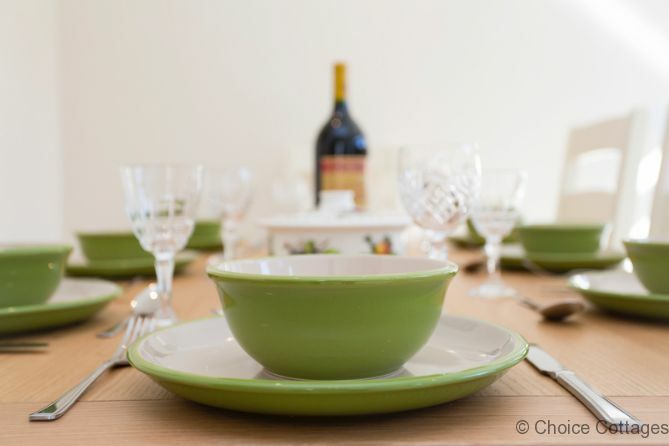 With a lovely table seating 8 people and music playing while you dine, what an end to a lovely day. A high chair is provided for very small diners. 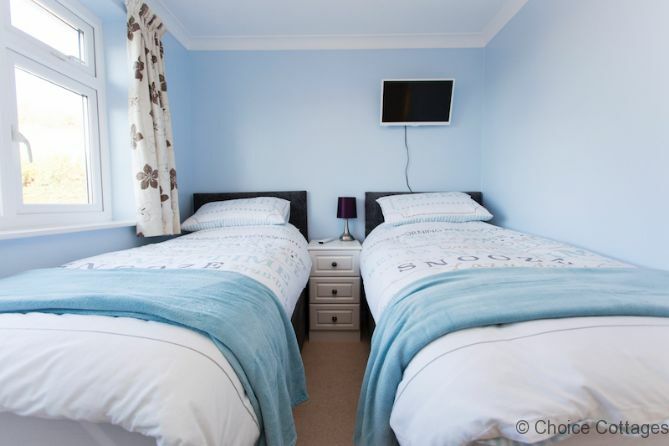 Bedroom 1: A large room with a lovely Victorian style king sized bed, elegantly dressed with quality bed linen. 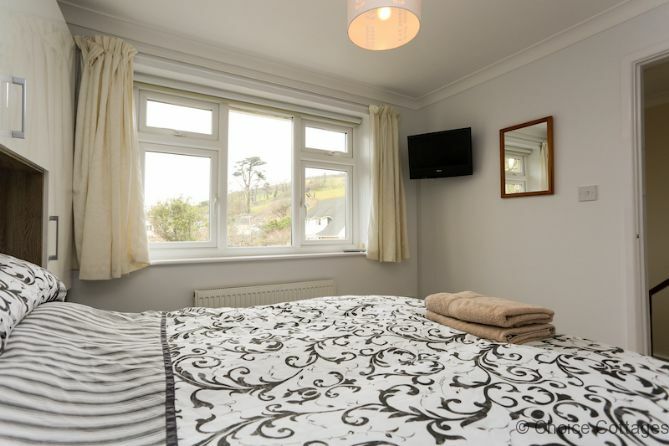 A flat screen TV is available for relaxed viewing and wall-mounted reading lights are provided for that exciting holiday novel. 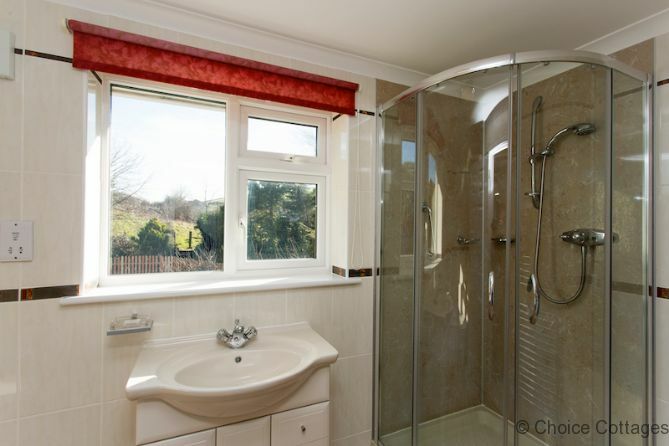 An immaculate en-suite shower room leads off the bedroom. 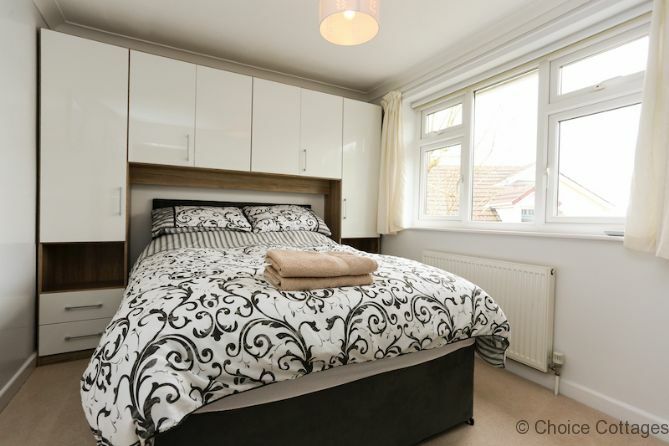 Bedroom 2: A modern double bed surrounded by loads of storage, cool and modern. A TV is available for late night movies or breakfast viewing. 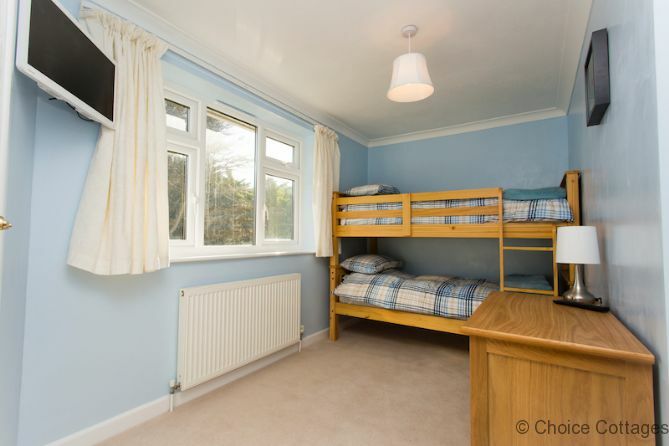 Bedroom 3: With very comfy twin beds, there are great views from the window and a TV and DVD player, making this a perfect room for adults or kids. Bedroom 4: Bunk bedroom. 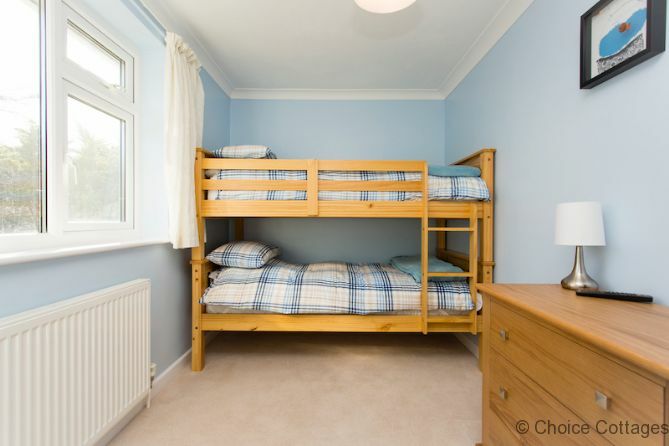 Kids love bunk beds + the TV and DVD player. What more can they ask? A travel cot is also provided. Along with the below, there is also a useful separate WC. Bathroom 2: En suite shower room to Bedroom 1. Contains a shower enclosure, wash basin and WC. A baby bath has been provided. Hand soap, bath, hand and pool towels are also provided. Each bathroom offers a handy shaving point. 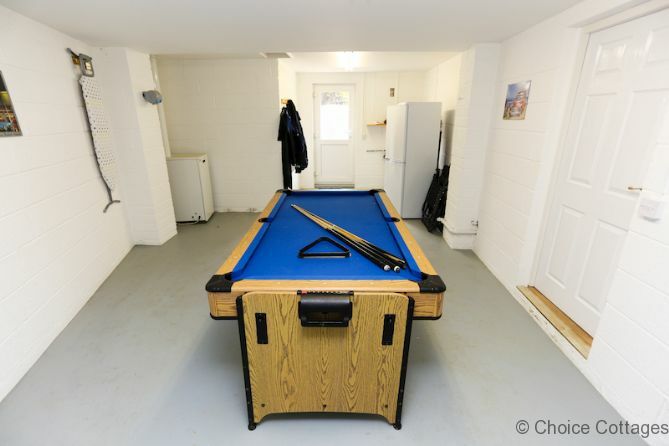 The garage has been thoughtfully converted into a games room with pool table and access to the garden area. 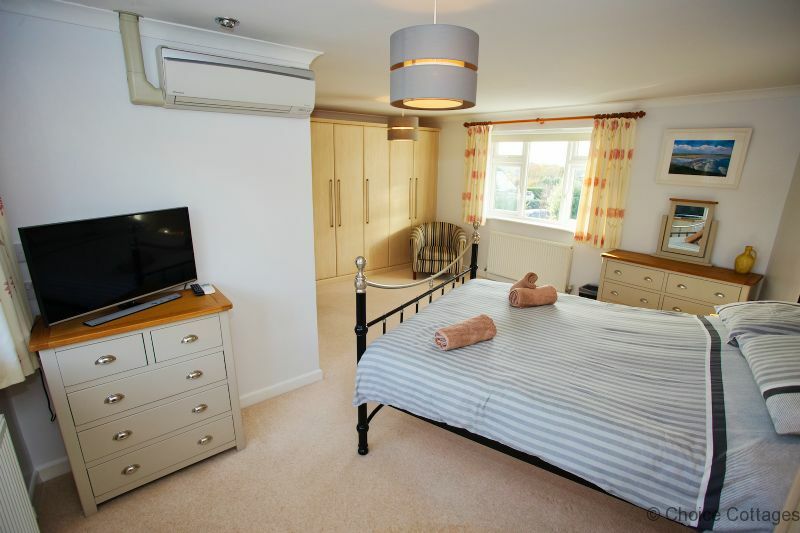 This room also houses and extra fridge/freezer as well as body boards, beach wind break and garden furniture. 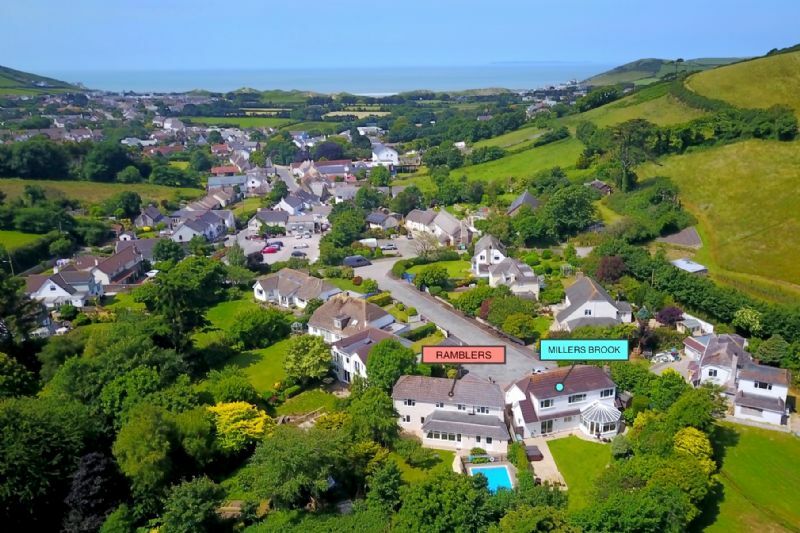 CROYDE RAMBLERS has front and rear gardens. 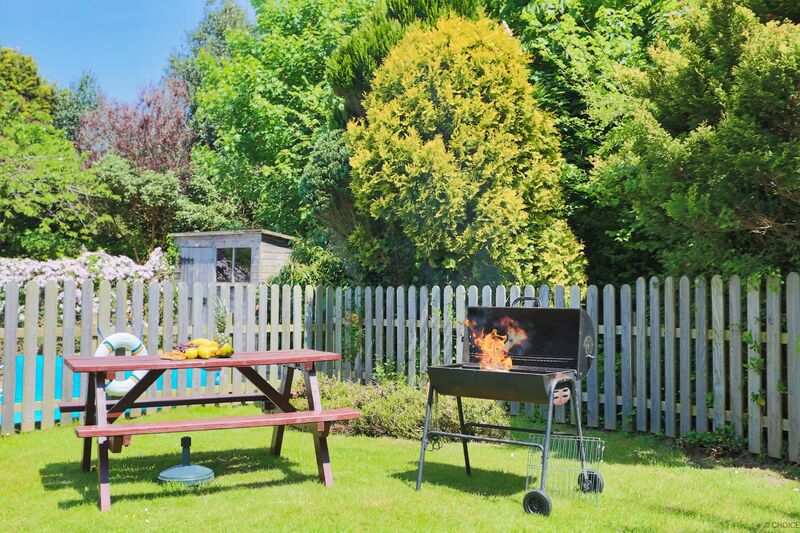 The large enclosed rear garden has both paved and lawned areas with an outdoor table seating 6, sun loungers x 2, a parasol and a charcoal BBQ. 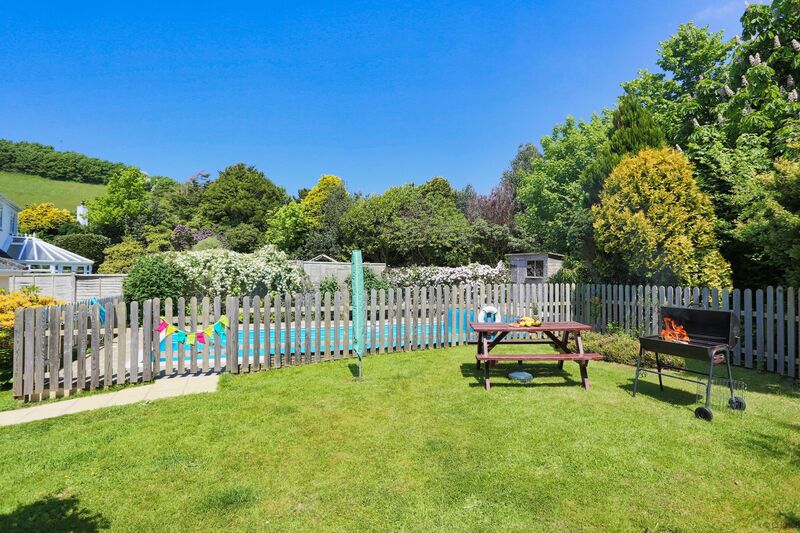 Children will spend hours enjoying this superb facility, all in the safety of your own sunny private back garden. 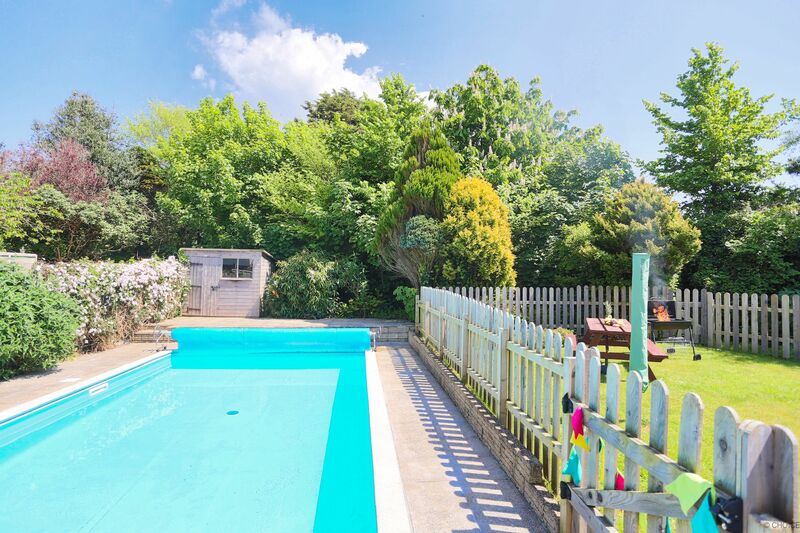 A handy summer house can be found in the pool area. 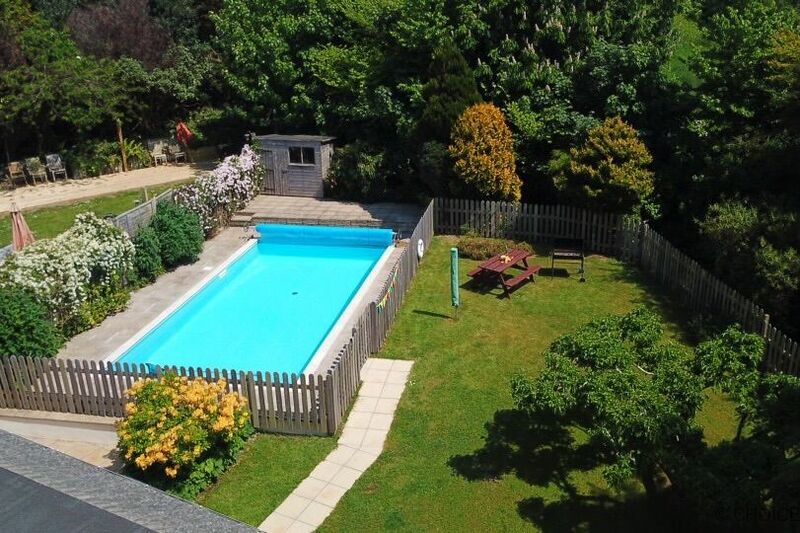 A "Lazy Spa Paris" Hot Tub is available to hire, making this the perfect entertainment property for all ages. There is parking for 3+cars on the driveway at the front of the house. 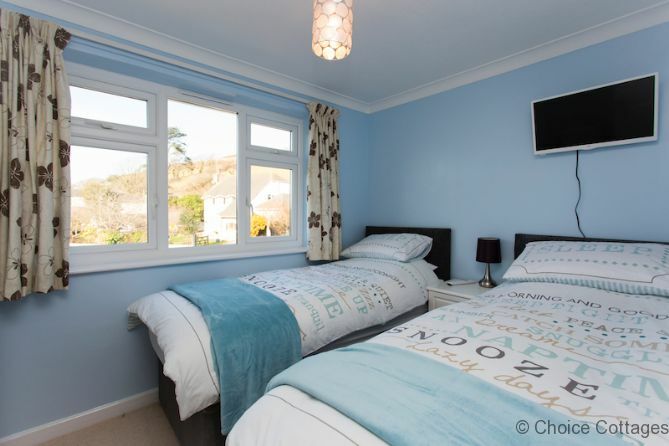 Location: Croyde; Dogs - Yes (2); Bedrooms: 4; Sleeps: 8; Post Code: EX33 1PQ; Ideal for families, children, toddlers, couples; celebrations; Changeover Day: Friday during peak weeks (otherwise flexible); WiFi internet access included; TV; DVD Player (PlayStation Console); DVD selection; Private enclosed garden; Outdoor swimming pool (not heated); Charcoal BBQ; Dishwasher: Fridge/freezer; Washing Machine; Tumble Dryer; Electric oven & hob; Iron and Ironing Board; Central heating & electricity included; Linen provided for 2 x doubles, 4 x singles; Bath towels included; High chair & travel cot included; Parking for 3+ cars. NOTE: The swimming pool is closed for use from 01 September to 31 May and heating available from 01 June to end of August. It is worth noting that ambient air temperature may have an effect on water temperature. Croyde! The go to destination for families, friends, couples, ramblers, dog walkers, and surfers… the list is endless. The local beaches are huge sandy beaches. Saunton sands and Putsborough both allow dogs.Croyde beach and NT walk to Baggy Point a short drive or walkable from the village. Surfers are well catered for in the village and local beaches. We had a great week with friends. The house was larger than expected and had everything that we needed. The master bedroom even had air conditioning, which was a bonus during the hot weather. 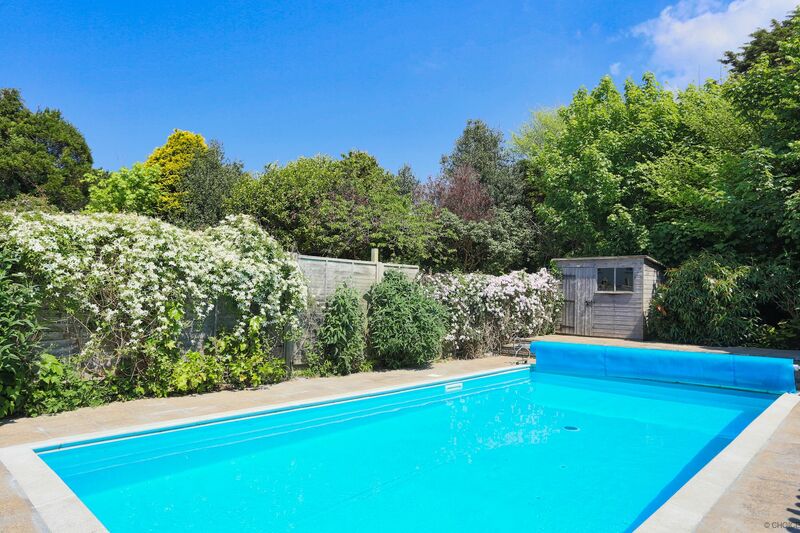 The best thing about this house was the pool. Nothing else to say other than it made our holiday. It was extremely well fenced off from the rest of the garden which allowed the toddler we had to play in the garden in a relatively safety. Overall a great house. We loved our stay at The Ramblers. The house was lovely and very spacious with everything we needed, and the pool table was a massive hit with the kids. Just wish we could've stayed longer. 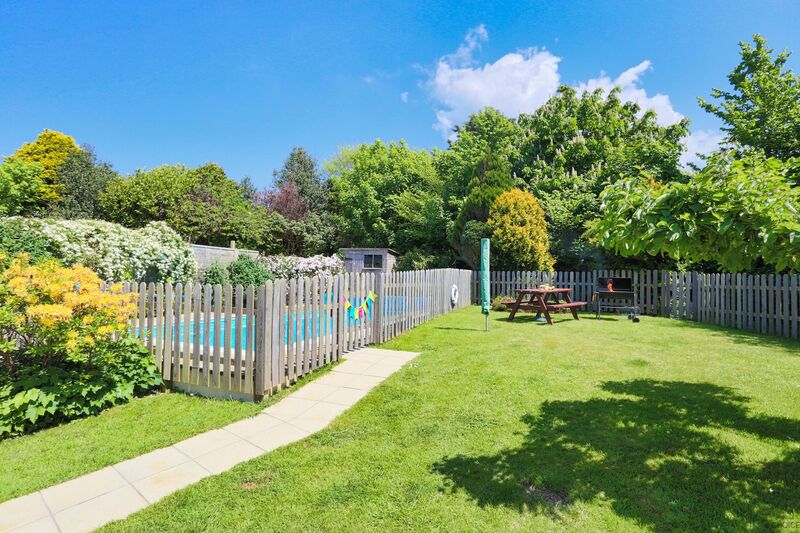 Lovely and close to Croyde Bay beach (only 3 minutes in the car), and driving distance to several other surrounding beaches. 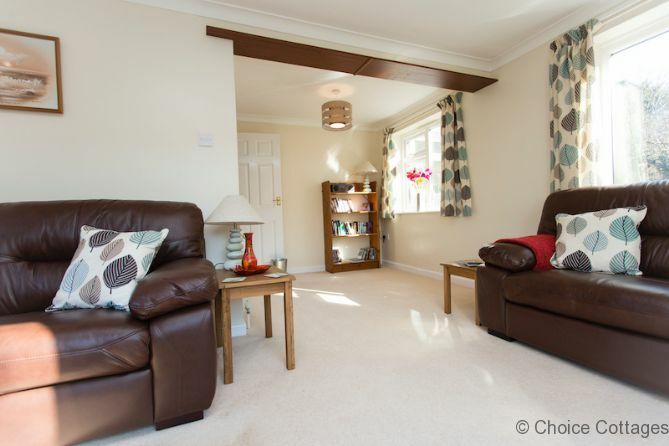 The village is small but there is everything you need within a 15 minute drive. Very happy! Lovely house with everything we needed. Children loved the pool and with fab weather most of holiday spent in garden/pool. 4 good eating places/pubs within a couple of minuted walk (with one just at end of the road). Croyde/woolacombe and saunton beaches very close, all lovely. Will definitely return. Plenty on room for 4 families. 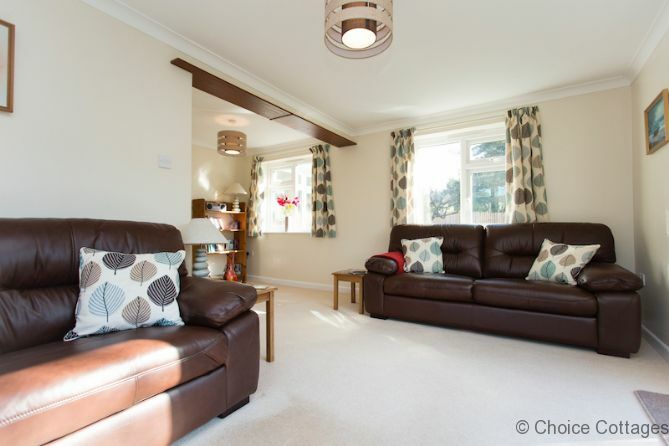 Lovely House, Great Location, An Excellent weekend! Had a Great Time, lovely house and nice weather! We have had a great holiday and thoroughly enjoyed this beautiful home. I have spoken to Michelle about the broken wine glass and she has assured me all is well. 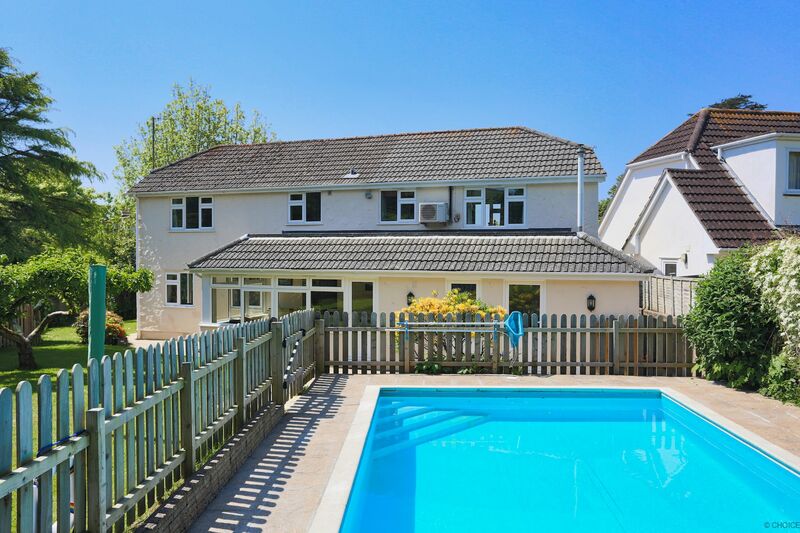 Great house, Super location and the heated pool was such a bonus for the kids. Thanks for a fabulous week. Great House, Well equipped. Lovely place, pity about the weather. We had a wonderful holiday- Thanks! House is fantastic - so well equipped. Pool was amazing!! such a bonus! You’ve really thought of everything. We All had a fantastic holiday!!! So the pool was abused!!! Really didn’t want to leave, Had an amazing time. Great Location. 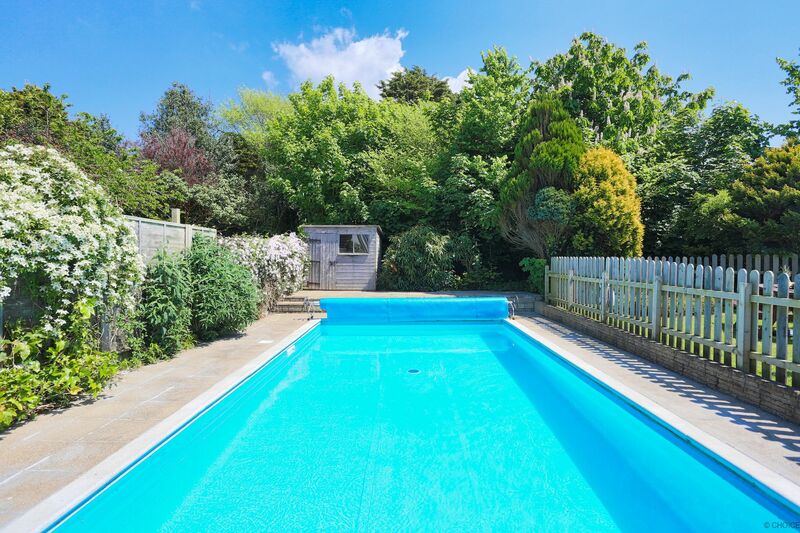 Fab pool, enjoyed by all. Had a lovely holiday, Such an Idylic location, Saunton Beach great for dogs. 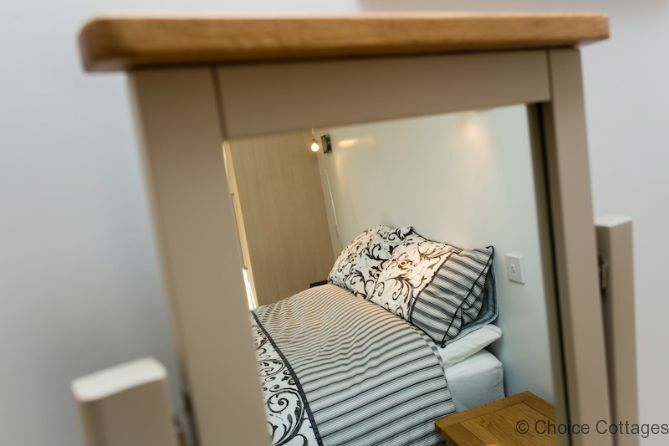 Includes linen for King Size Bed x 1, Double Bed x 1, Single Beds x 2, Bunk Bed x 1, bath towels, travel cot, high chair, WiFi internet access, heating and electricity.